"This Vietnamese dish is adapted with Thai flavors. 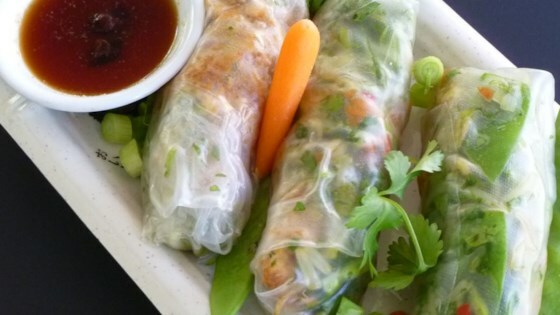 These spring rolls make an excellent appetizer or light entree. Colorful, crunchy vegetables contrast nicely with the soft, translucent wrapper." Not my thing ... too many ingredients, that are expensive and not typical and didn't turn out very good.